Leadership is a quality that seems to result from wrestling, one of the world’s oldest sports. Wrestling is a one-on-one encounter with a worthy and respected opponent. It not only requires physical strength, endurance, technical skills, and tactical strategy, but a strong emotional and mental balance. Of those that had wrestled throughout America’s history, many have become our greatest leaders. Remarkably, thirteen of the United States Presidents – Washington, John Adams, Jackson, Taylor, Pierce, Lincoln, Garfield, Arthur, Theodore Roosevelt, Coolidge, and Eisenhower – have wrestled. 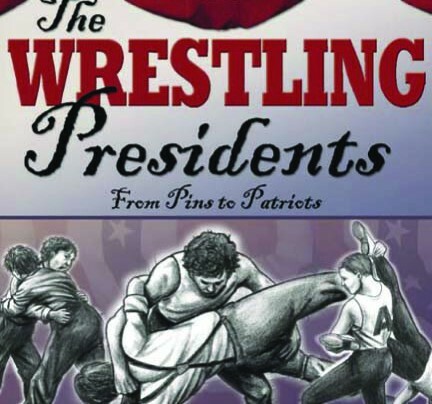 The Wrestling Presidents presents in first person the life story of each wrestling Chief Executive, with special focus on their “great (or not so great)” scuffling exploits. Each thirteen wrestling President brings a gift of leadership, leaving the young wrestler with distinctive lessons in life.